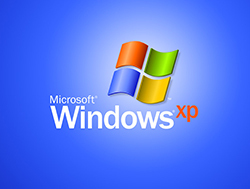 After Thursday, April 8, 2014, Microsoft will no longer release security updates for Windows XP. After this date, any device running Windows XP will be vulnerable to exploitation by hackers. To protect the Baylor community and its information resources, any device running Windows XP, whether institutionally-owned or personally-owned, should be upgraded to Windows 7 or Windows 8 before April 8, 2014. ITS is currently working with campus departments to upgrade or replace institutionally-owned systems still running Windows XP. For Personally-owned Devices: As part of Baylor’s Microsoft Campus Agreement, anyone with a valid BearID can purchase one copy of Windows 7 or Windows 8 at the Baylor Bookstore for $15, and they will perform the upgrade for you for a fee. If you have a device that is unable to run Windows 7, it should be replaced. Wired Network: Any device running Windows XP detected on Baylor's wired network after April 8, 2014, will lose Internet access. AirBear Wireless Network: Baylor institutionally-owned devices identified as having Windows XP on AirBear, the campus wireless network, after April 8, 2014, will lose Internet access. Personally-owned devices running Windows XP that are connected to AirBear will still have Internet access through the spring term. If a compromised device is detected it will be blocked from AirBear. To determine if your device is running Windows XP and for other information about this transition, visit https://www.baylor.edu/its/winxp. If you have questions, please contact the HELP Desk at (254) 710-HELP.